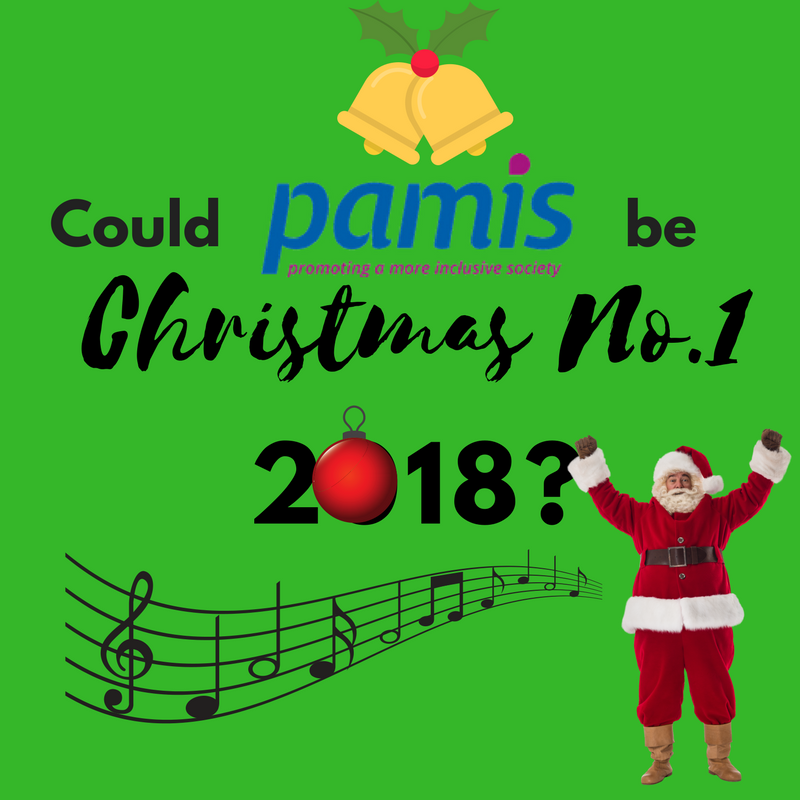 Let’s work together to get PAMIS to the top of the Christmas charts in 2018! Today is exactly 25 weeks until the end of our 25th anniversary year. Our official birthday is the 21st May. So in full support of the PAMIS 25 Challenge here is our very own PAMIS Challenge. What if in 25 weeks we were able to develop the words and start preparing the music for a PAMIS Christmas 2018 Number 1 hit (let’s be really ambitious here!). We will set up writing and music making workshops across Scotland, for people with PMLD, their families and especially their siblings, and our staff and volunteers, to work with some high profile composers and writers to develop our number one hit. And let’s face it even if it doesn’t get to number one the coming together to write, compose, share and network will be enough reward and will also raise the profile about the issues families face and the unique contributions that people with PMLD and their families make to our communities. So today we are launching this challenge – 25 weeks to go – let the activity and countdown begin! Look out for information about the workshops in the New Year! !